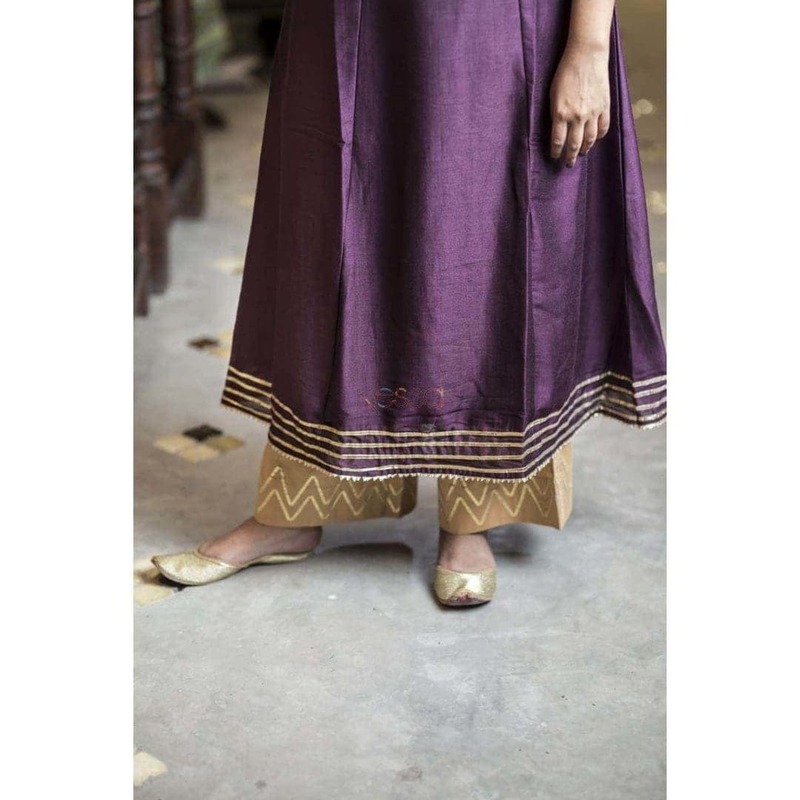 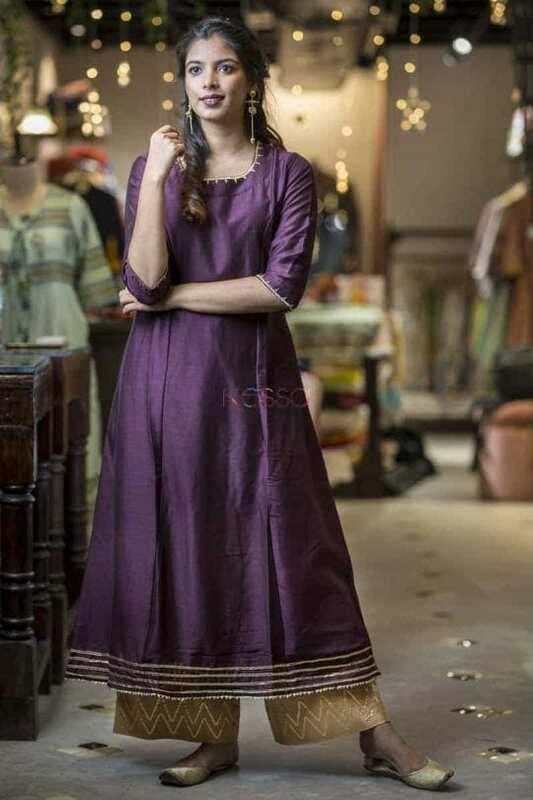 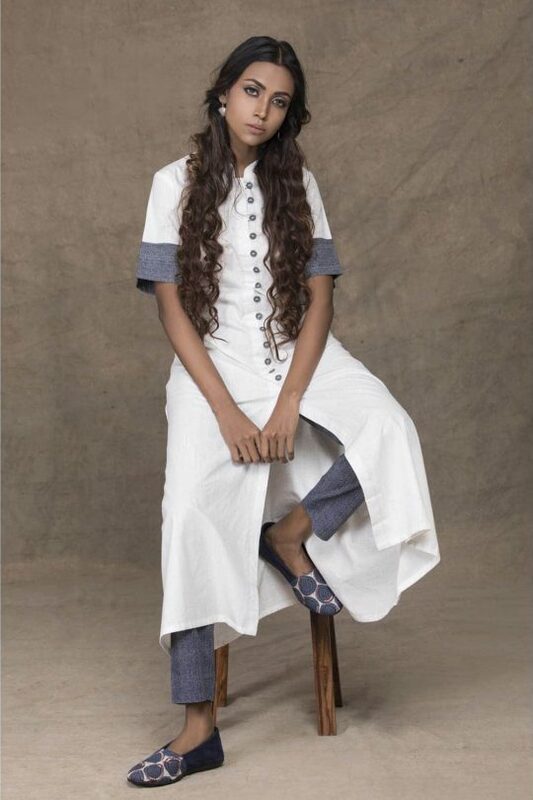 This violet A-line kurta with one side pocket is based on premium cotton silk. 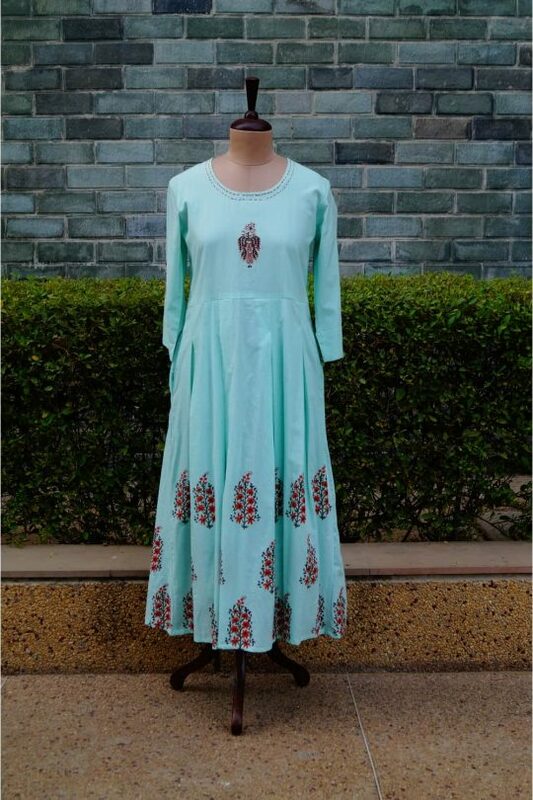 Sleeves are highlighted with tube-light hand-work and neck is highlighted with sequence. Border is also highlighted with gotta work.